In 2012, visual artist Karthik Pandian and choreographer Andros Zins-Browne visited the Atlas Film Studios in the desert of Ouarzazate, Morocco. 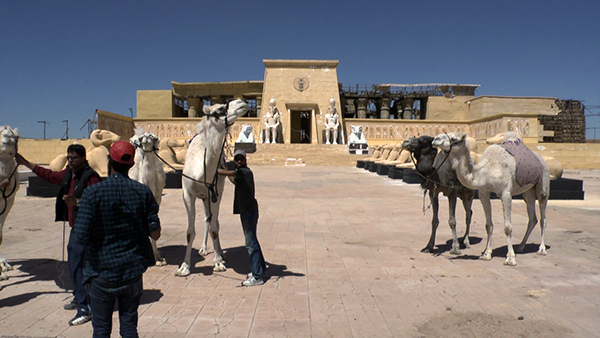 There, in front of film sets from previous Hollywood productions, they hired a group of studio camels and tried to persuade them to dance. 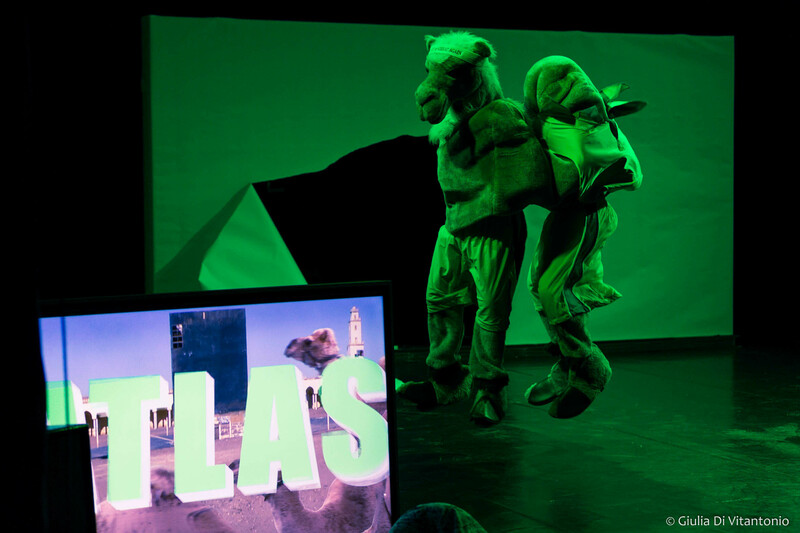 The result of this endeavor can be seen in their 2014 video Atlas/Inserts, a choreography that casts the camel both as a political animal and a technology of movement. Drawing on new video material, shot at EMPAC in front of a green screen with American camel-actors, they pose the question of whether Atlas/Inserts was actually a ruse. Was the coercion depicted actually the performance of high-priced American talent keyed into background footage from Morocco? Were the artists documenting a shoot or acting in one? 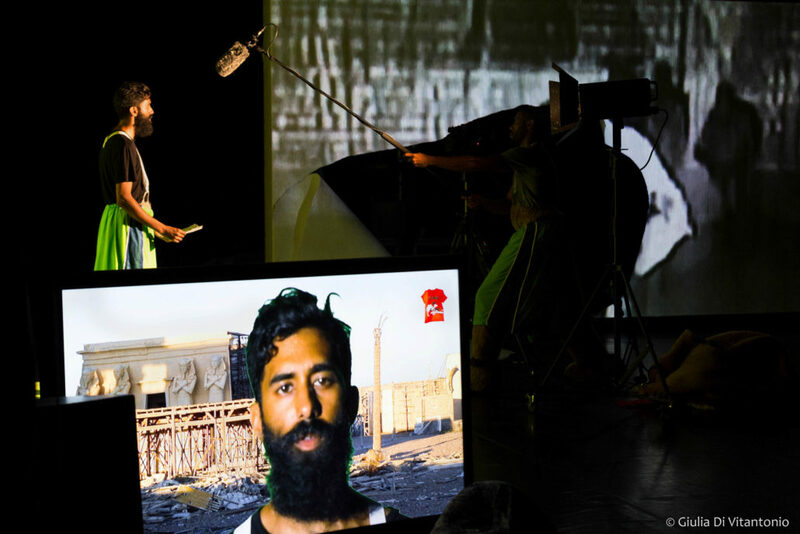 In Atlas Revisited, Pandian and Zins-Browne stage the making, unmaking, and remaking of a dance about freedom and the treachery often required to realize images of it.